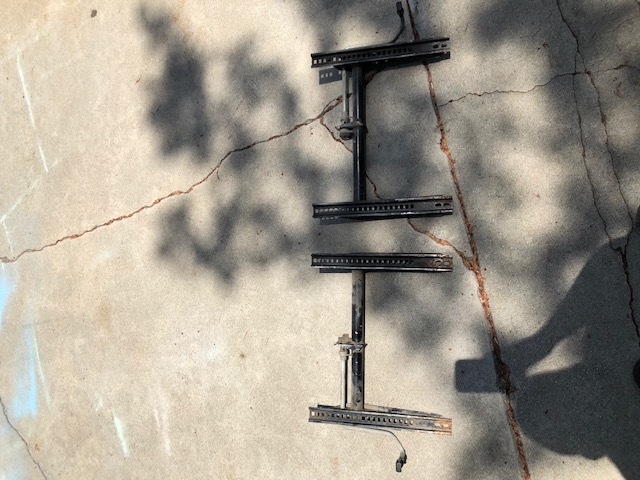 I am looking for a pair of very good black seats and rails for my 71 in the Scottsdale / Phoenix / Flagstaff area that I can see in person and pick up. Shipping costs usually kill any good deal and i could use the drive for recreation in any case. Another option is a pair of really good cores for rework by others / but I will need the rails in any case. Forrest, does your '71 have the original early non-moveable passenger seat, or has it been converted? I have some nice original seats and back-pad from my '71, but I won't be coming to AZ until after tax season (late April or May). I have a decent core set of seats and I can gather up some rails for you to restore. That's the Good news (IMG:style_emoticons/default/piratenanner.gif) ...and FREE (to you only), BAD news (IMG:style_emoticons/default/headbang.gif) , I don't deliver. Thanks guys / mine is a converted 71 seat arrangement so now both seats are independent and slide on rails. Thanks to you both and it sounds like Oscar has the best option for me to pursue as i am not in a hurry as I am engulfed in a remodel in Scottsdale for the foreseeable future. so the 914 is taking a back seat....er..... (IMG:style_emoticons/default/lol-2.gif) to the housing crisis I am in the middle of. Oscar: Lets stay in touch and one way or another I will catch up and make a trade of some sort. And as always, your generosity (both) is very nice indeed. I'm just about finished with the various remodel projects with the CA home (7 months to date). The den & front porch are basically done. Still have to paint the tall baseboards for the den, and install stained DF door & window trim and tall baseboards for the porch. I can get you a nice set of leather 911 Carrera seats.......? Thanks guys / to all. 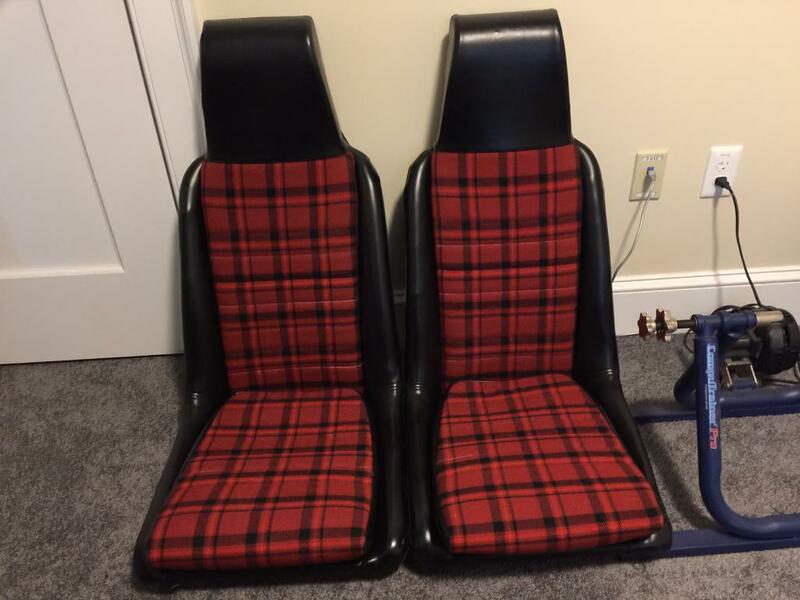 Sidebar: Larmo63's offer on a pair of 911 seats is a hansom offer but I fear they would include a set of tightly stre (IMG:style_emoticons/default/beerchug.gif) tched black sheer Speedo covers of of his choosing........ Yikes! I just did a set with one of the 914rubber kits. Came out nice. I really like the plaid combo / nice work. Forrest, Check out this post that was just listed in the classifieds. Time and patience. I used small zip ties instead of metal rings. I sewed the cardboard to the back piece but many just use glue. I used brush on weldwood gel contact cement. $12/qt on amazon. I’m doing another set in houndstooth and I’ll use that glue again. It was perfect. If I had used spray on glue, it would have been a mess. I always let the glue dry completely before bonding the materials and used at least two coats on the vinyl and foam. I’ve never done upholstery before but I’m convinced the trick when you are new to it is take your time. Don’t try to get it done in a day or a weekend. Take as much time as you need and walk away if you get frustrated. Keep all the old material until you are done. Every little part. 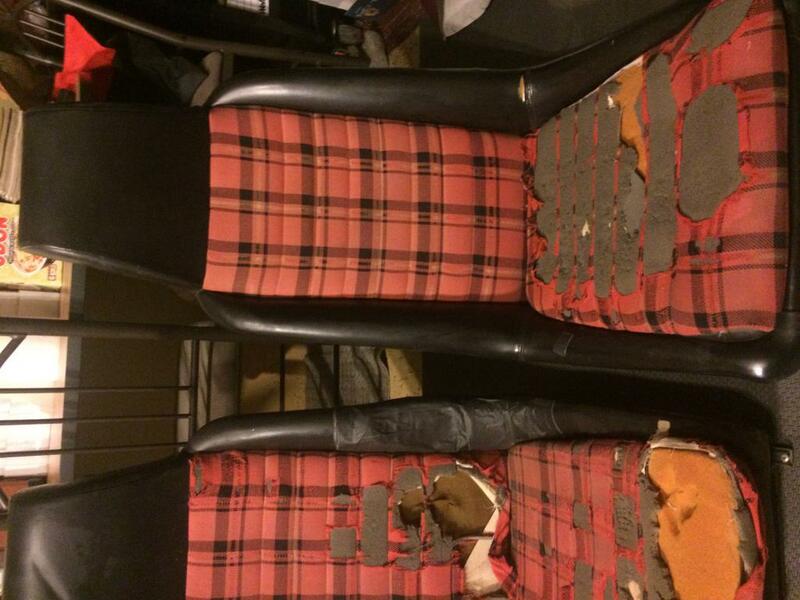 You reuse some parts and some of the old upholstery is helpful to see how it goes together. You get more stretch from the vinyl when it’s hot and rid of wrinkles with a heat gun but go careful with the heat. I tried to do this a year ago with a really trashed set of cores. It can be done but starting with a decent set makes it a lot easier.